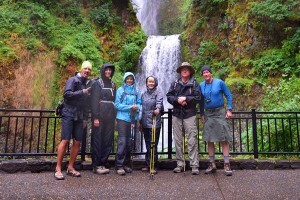 Old-growth rainforest ecology, fascinating natural history, a fabulous view of scenic Mt. 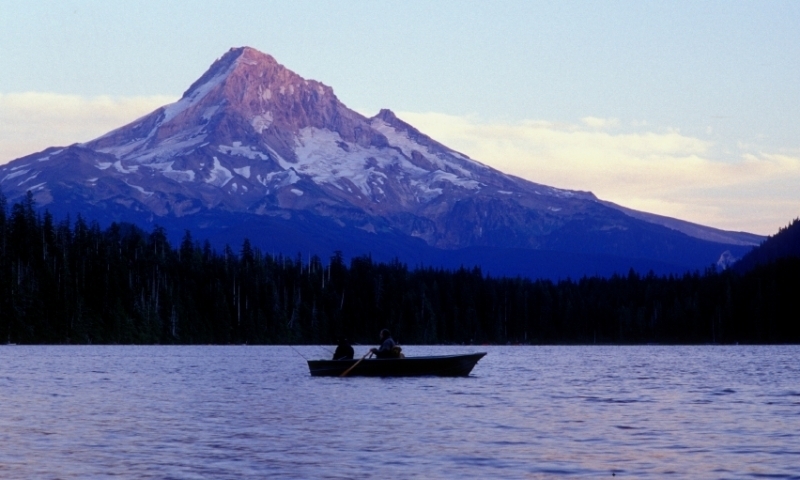 Hood, and abundant fish, wildlife, and birds make Lost Lake one of Oregon’s most treasured getaway spots. Located 10 miles NW of Mt. Hood, with views of Mt. Hood, Lost Lake Butte, and Preachers Peak. Lost Lake Resort open May-October has a lodge, campsites, and cabin rentals. Hiking trails from easy to moderate are accessible from lakeside. Canoe, kayak, and rowboat rentals available. Snow-fed Lost Lake lies at 3,200 feet in the shadow of Mt. Hood’s northern face in the Oregon Cascades. Sightseers to the area will enjoy views of Mt. Hood, Preachers Peak, and Lost Lake Butte, spectacular mountain wildflowers, and an abundance of wildlife like deer, native bats, beaver, pine martens and otter, and high-elevation raptors. This lovely spot is home to several threatened species and has been targeted by conservation groups for wilderness protection. The second-deepest lake in the Mt. Hood National Forest, Lost Lake is superb for fishing, camping, and hiking. Lost Lake Resort has a lodge and a rustic campground with 120 tent sites, 7 cabins, and an old-style general store. Since the Lost Lake Resort is privately-held, a day-use fee per vehicle applies. Motorized watercrafts are prohibited. Lost Lake is located about 45 minutes from Hood River and about 10 miles from Mt. Hood. From Hood River, take Highway 30 (via Cascade Avenue) to Tucker Street; Tucker becomes the Dee/Hood River Highway. Travel 6.5 miles and take Lost Lake Road through Dee. Lost Lake Road becomes Forest Route 13; follow FR 13 to Lost Lake. Lost Lake Campground and Resort is open May-October. 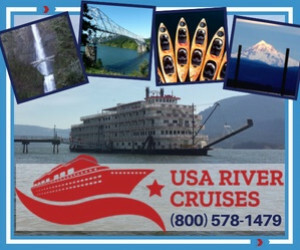 Reservations are taken for cabins or lodge rooms only at (541) 386-6366. Easy 3-mile Lost Lake Shoreline trail skirts the lake’s perimeter and offers lovely views. Hikers can connect with the Pacific Crest Trail via Huckleberry Mountain Trail for a moderately-difficult 7.5 mile loop from Lost Lake. Canoes, kayaks, and rowboat rentals available. Fishing for trout, steelhead, salmon, and crayfish. Lost Lake Resort & Campground is located in the Mt. Hood National Forest.